My husband and I were both excited when we got the invitation to K By Cunanan’s Thanksgiving Dinner. It’s their annual event where they invite clients within the past year, as well as suppliers and friends in the wedding and events industry. The main reason for our excitement was, of course, the food! Everyone in our wedding loved our menu, and all our food tasting sessions were a treat! 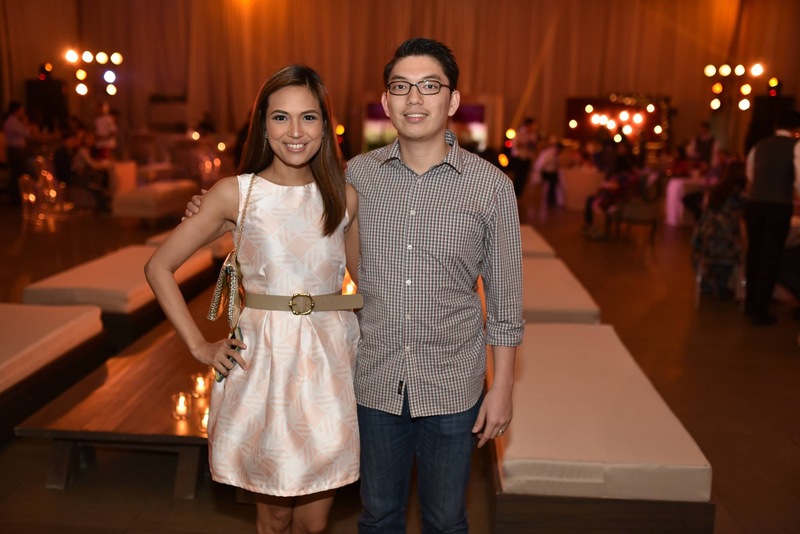 I was also looking forward to the place as I knew K By Cunanan always styled their events with elegance. They actually styled our wedding ceremony, because we wanted it to have a uniform look with our reception. The cheese station, some of our food, and our pretty center pieces. The Thanksgiving dinner was held at The Blue Leaf Filipinas in Pasay City on Thursday, March 26, 2015. The venue was gorgeous, with each food station having a unique backdrop. Cocktail food were served but I couldn’t take decent photos of each station, as there were people lined up all the time. Ang sarap naman kasi! I purposely didn’t take a lot of photos of our food because we didn’t want evidence of our crime! Hahaha! Let’s just say, the food was delightful. They also had the brother duo Michael Angelo play some 90’s rock music acoustic style. It was cool to see them there, as we knew them from our church in Ortigas! Siyempre ang galing galing naman kumanta ni Mike Manahan, and Fidel and I enjoyed each song–feeling highscool ulit! A packed Sinulog Hall of The Blue Leaf Filipinas. Fidel and I against this beautiful backdrop of fresh flowers! With our event manager, Nina Mendoza, who we are so thankful for. She made sure we were within budget, while still making our wedding look elegant. **If you chance upon this post and you are a bride to be, or are planning for a special event, give them a call! Speaking from our experience, we booked them for good food, classy event styling, and they worked around our budget.